This October Henry Rollins adds yet another feather to an already impressive professional cap, that of photographer. The musician/writer/actor and DJ’s new photo-essay book, Occupants, spans eight years of the artist’s lens from various points of the globe including Ireland, South Africa, the Middle East and Asia. We caught up with Rollins last week to discuss his passion for photography, his new gig hosting Nat Geo’s Animal Underworld and why radio still matters. AD: While you’ve long been involved in various forms of media/art, from music, spoken word and radio to your books and acting, your upcoming project, Occupants, a photo/essay collection breaks new ground for you. What itch is photography now scratching? Henry Rollins: There are, to me, things that a photograph can capture that words, at least when I use them, cannot. So, I started carrying a camera. As the years went on, I would upgrade the camera as I wanted to do more. I learned a lot by just going out for several hours a day, with a basic understanding of light, exposure and f-stop. I got some good tips and as soon as I had a better understanding of how all the factors can be moved around, I started to get the photographs to speak the way I wanted them to, to tell the stories that I could not. AD: How was the learning curve? Henry Rollins: Steep at first but things are evening out slightly. Digital allows one to learn quickly as you can evaluate your work quickly. AD: The book spans the course of eight years and twice as many countries. What did you see out there? Henry Rollins: I look for humans and how they deal with their lot in life. From Africa to Asia to the Middle East and beyond, I see humans being incredibly adaptive and buoyant in conditions that would make many people from the west freak out. I see what globalization really looks like. It’s nothing good. I see what wars look like years later, nothing good there either. They keep going long after they’re over. There’s lots of places you can see bones and bullets in the dirt. A lot of the world has mine fields and limited access to water. A lot of these people will not make it. AD: Would you say there is a unifying theme, subconsciously or not, running throughout? 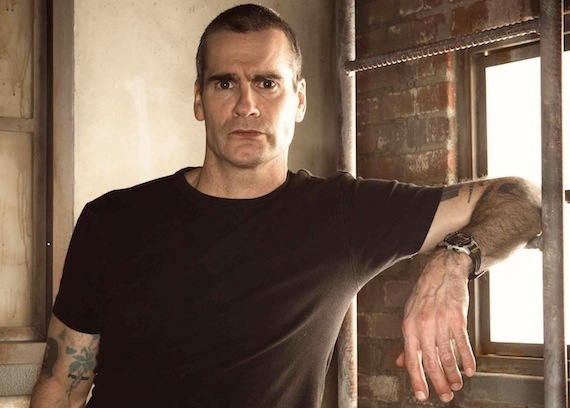 Henry Rollins: To the book? To humanity? As to the latter, I think people will always move towards peace, dignity, saftey for their children, sustainable environments and some version of security. They are willing to lose a lot to retain what they see as theirs. Humans are also, perhaps one of the most ill suited species to live on the planet. AD: Among other locales, Occupants documents your travels within Afghanistan, Iraq, Iran, Syria, and Lebanon. As an American with a long history of traveling abroad, how has U.S. foreign policy in the 21st century played into your experience? Henry Rollins: Whenever there’s a Republican president, foreign press is always more cynical than when there’s a democratic president. Traveling to places like Iran and Syria during Bush’s time in office was at times a delicate matter. Things are hugely different with president Obama in office. Some Americans don’t like him but outside of America, he’s quite popular. I think people are able to separate a person from the government of his or her country. I had to count on that many times. America’s destruction of the Middle East doesn’t go down well. People there have very, very long memories and have seen everything before. A place like Afghanistan, the people there know more about how America will do there than the Americans do, that’s for sure. AD: I imagine you’re own wanderlust, coupled with your hosting National Geographic’s Animal Underworld provides great photographic fodder. Where does the show have you heading this season? Henry Rollins: I just finished shooting three specials for Nat. Geo. We were in India, Vietnam and America for the shoots. AD: Switching gears to music, I know you’re very passionate about your radio gig. A ‘typical’ eclectic Rollins broadcast might range from Syrian musician Omar Souleyman to Iggy Pop, Tinariwen, Ty Segall, the Evens and back again. With so much attention of late being placed on automated playlist services like Pandora, how important do think human selection is in radio? Henry Rollins: To me at least, it’s all important. The automated thing is ok, I guess. It’s never anything that I could listen to but for some people, I guess it’s ok. I always liked the idea that the show was handmade, that someone actually had an idea as to what song goes into what song, etc. I think that will never lose its appeal. It’s like when you make the mix tape for the girl you want to impress, it’s all about the personality and the music together. AD: Do you see this automated trend continuing, or do you see an eventual backlash? Henry Rollins: I think you will always have both. Americans don’t backlash. Look at what they put up with. AD: Part of what I’ve always loved about your show is that is feels like a link to a somewhat bygone era of radio; the theater of the mind or what-have-you. Were there some shows growing up in D.C. you tuned in on the regular? Henry Rollins: I always listened to Harv Moore in the mornings on WPGC until he left. After that, I really got into WRC talk radio, this was before it became the conservative sissy channel it is now but back then it was pretty cool at night. WETA used to run old radio shows like The Lone Ranger and The Shadow now and then, I really liked all that stuff quite a bit. AD: Finally, what are you listening to lately, old or new, that the world needs to hear? Henry Rollins: I listen to a lot of recordings out of the Midwest on the American Tapes and Gods Of Tundra label, stuff on Dischord, Teenbeat, Sublime Frequencies. Best thing to do is check out my show or the show notes on my site. AD: Thanks Henry, safe travels out there. I’ve been following his work for 20 years. Thanks for the heads up. I still have a ton of Rollins old books. i love henry’s show. one time he played only coltrane for 2 hours straight. Renaissance man indeed. And yes, his KCRW show is a great example of what radio can (and should be). ‘The Wisdom of Henry’. I could read and / or listen to him talk all day. Great interview. Great interview. Well done. Thanks.